A year or so ago, a friend asked me to spec out a simple surround-sound system for his home in Florida. The house is built on a concrete slab, with concrete walls designed to withstand Florida’s frequent hurricanes. I had no problem offering him advice about most of the system, but when it came to surround speakers, I hit a snag. You can’t just retrofit speaker cables inside concrete walls, and running them across his living-room floor was out of the question. If only Aperion Audio’s Zona wireless speaker had been available then. The Zona ($499 USD per pair) was designed to be used primarily as a surround speaker in precisely my friend’s sort of situation. It can be placed in the rear of a home theater without the owner having to run cables from the front of the room -- where the electronics are most likely to be -- to the back. If you have electrical outlets for the Zonas’ built-in amplifiers near where you’ll place the speakers -- and rooms in most newer houses have outlets on all four walls -- you’re all set. But the flexible Zonas might also find themselves in a computer-based audio system, a desktop or office system, or even a small-scale stereo for a bedroom or den. I wanted to get the full measure of what these little speakers could do, so I did the unthinkable: I plunked them down in my main living-room stereo system. The Zona is a compact two-way loudspeaker that can be placed on a stand or a shelf. Its 1" soft-dome silk tweeter and 4.5" woven-fiberglass woofer are housed in a solid yet compact MDF cabinet measuring only 9.8"H x 6"W x 6.3"D and weighing 15 pounds. The finish is matte black, and the sturdy feel will not remind you of your last pair of plasticky computer speakers. Built into the ported enclosure are two small 20W class-D amplifiers, each with digital signal processing to shape the drivers’ acoustic output. The Zona, being fully self-powered, is designed to be used without speaker cables running from your receiver or amplifier. You do have to plug them in, though -- they have to have AC to operate. IEC inlets are provided for the supplied power cords. Aperion Audio claims a frequency response of 55Hz-20kHz. The Zona still needs a signal to operate, however -- it doesn’t ad-lib the effects in your favorite movies! For that, Aperion Audio has an elegant solution: a 2.4GHz wireless transmitter that sends 16-bit signals at sample rates up to 48kHz and hooks up to the RCA preamp outputs of your receiver, home-theater processor, or preamplifier. If you use the Zonas as surround speakers, use your receiver’s surround pre-outs. 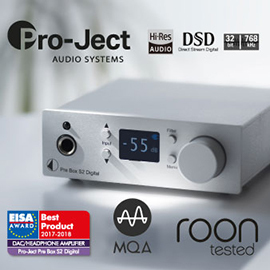 If you use them as main speakers in a compact system, use your preamp’s main left and right RCA outputs. Once you’ve plugged in the transmitter, it will wirelessly send the audio signal as far as 150’, to the Zonas’ built-in wireless receivers. The only snag a customer might hit is having an AC outlet available for the wireless transmitter. But I don’t think this will be too much of hassle for most customers, as you have to have a place to plug in your receiver/processor/preamp anyway, so you likely will have a power strip available for the job. The Zona’s cabinet has threaded inserts that allow it to be mounted on either a stand or a wall. I used Sanus stands. A single shipping carton contains two Zona speakers, the wireless transmitter with RCA cable, the power cables, and a nifty little remote control. That remote is the key to enjoying this system. First, you can use it to fine-tune the Zonas’ output level. (Of course, you can also use your receiver’s volume control.) Second -- and this is key to getting the Zonas to sound just right -- the remote has bass and treble adjustments. I set up the Zonas on stands about 4’ from the front wall of my living room. This gave me great imaging and soundstaging, but, as you can imagine, little in the way of boundary reinforcement, which left them sounding bass-shy. So I just bumped up the Zonas’ bass level a couple of notches with the remote, and that was that -- it warmed up the bottom end nicely, and made the Zonas sound full-bodied and pleasant. I began my listening with Livingston Taylor’s cover of Stevie Wonder’s "Isn’t She Lovely," from his Ink (24/96 AIFF, Chesky/HDtracks). Taylor’s whistling at the beginning of the track was clear, with good presence in my room: The Zonas reproduced a very good approximation of a person whistling in front of me -- an impressive result for any speaker. It wasn’t ultradetailed, as you might hear with a pair of good hard-dome tweeters, or even some of the ultra-expensive soft domes, but it was focused dead center, with no image wander, and a tonal balance that was neutral but never grating. With a track like this -- vocal-dependant, with low-key acoustic instruments -- the Zonas could play loud enough to provide a very nice listening experience even in my fairly large room. Wow! However, this did bring up the Zona’s biggest limitation: With music that includes a healthy dose of midbass, not to mention low bass, the Zonas were quite limited in absolute output capability. This won’t be a liability when they’re used as surrounds, especially in a room of no more than moderate size. 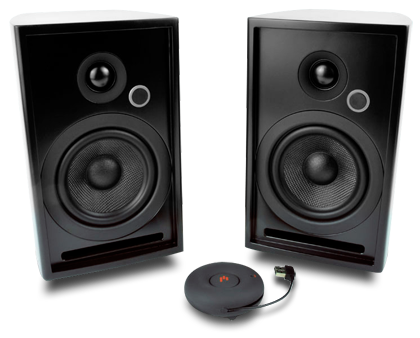 But here I was using them as mains in a large room, placed far away from any room boundaries, and on a few occasions their woofers hit their limits with bass-heavy music played at not-quite-boisterous levels. The Zonas imaged like champs, throwing a good-size soundstage, and had a clear midrange that contained more texture and tonal richness than are usually heard from speakers of this size and cost. I could imagine that if they were placed on bookshelves, or even mounted on a wall in the corner of a room, you might want to lower their bass response a bit because of the boundary reinforcement the wall would add. Alternatively, if you’re forced for some reason to listen well off the Zonas’ tweeter axes, where their output level falls off sharply, bumping up their treble control would give them a touch more sparkle and life in the highs. I experimented extensively with the Zonas’ tone controls and found that I really couldn’t make the speakers sound "bad" -- these controls are thoughtfully designed so that you can’t completely ruin the speaker’s tonal balance by goosing the bass and treble. What I heard was an effect of about the magnitude I get from making a slight adjustment in speaker location or toe-in angle. I really appreciated being able to dial in the Zonas -- not just to the room, but even to the music I was listening to. With the remote, it’s just so easy to experiment to arrive at the best results. A blue light behind each Zona’s removable grille blinks as you raise or lower the volume or tone controls, a reassuring feature that lets you know the remote is communicating with both speakers. Never did the remote raise the volume of one speaker and not the other, and never did the Zonas lose contact with the transmitter. They were about as easy to operate and use as I could have wanted. That blue light does go off after a few seconds, the Zonas then disappearing into the background visually and sonically. The Zona didn’t do low bass, as I alluded to before -- no speaker this size will, with any authority. But the pair of them gave me a good dose of warmish midbass, and as long as the bass on the recording wasn’t too deep, they could actually startle me with their ability to put forth a goodly amount of sound into the room. 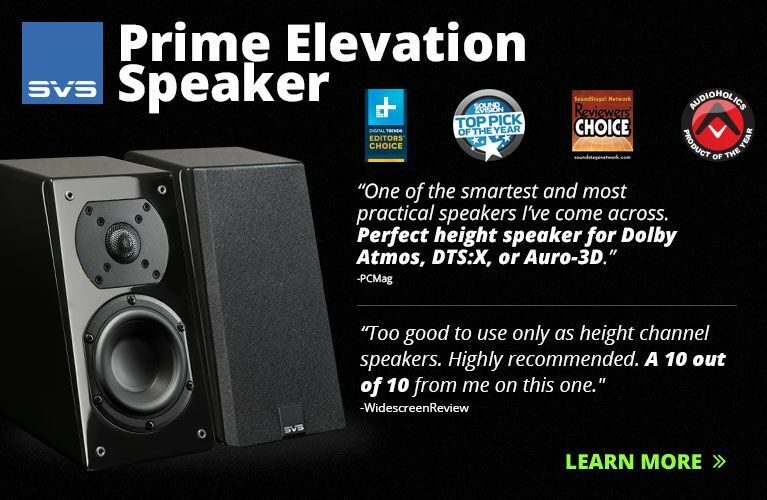 And their highs, though not ultradetailed, gave away little to most good bookshelf speakers costing under $1000/pair. The Zona had a reasonable amount of detail throughout the audioband, but their reproduction of detail was most prominently centered in the midrange. The transition between the woofer and tweeter is nigh on seamless -- there were no discontinuities or hiccups with music that spanned the crossover point (like piano). In this respect, the Zona did most of the things you’d want a compact speaker to do: they imaged and focused on instruments in a satisfying way, and they disappeared completely into my room, leaving behind only the music. I also listened to a fair number of movie soundtracks in stereo, just to see how the Zonas would do compared to the speakers built into my 40" Sony XBR4 LCD television. There was no comparison. Midrange sounds were much fuller and more tonally rich than the Sony could manage, while the dynamic range was increased at least threefold -- especially evident with films such as Robin Hood with Russell Crowe, with all those arrows flying through the air. 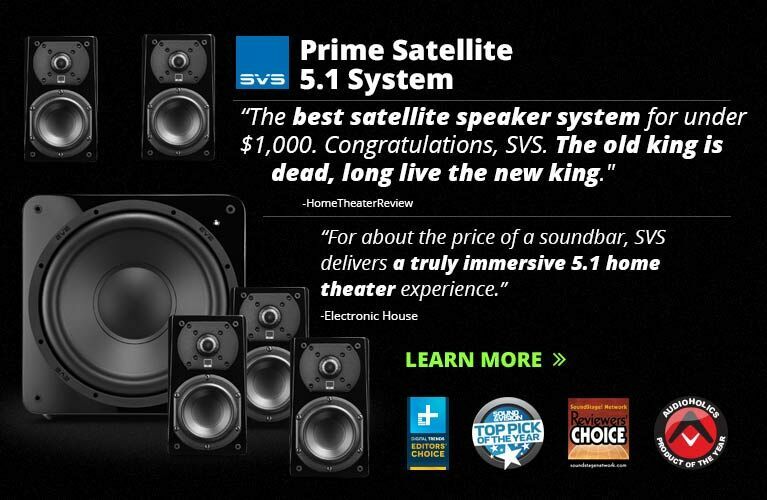 If you’re considering these as an upgrade to the sound of your TV, you’re in for a treat. 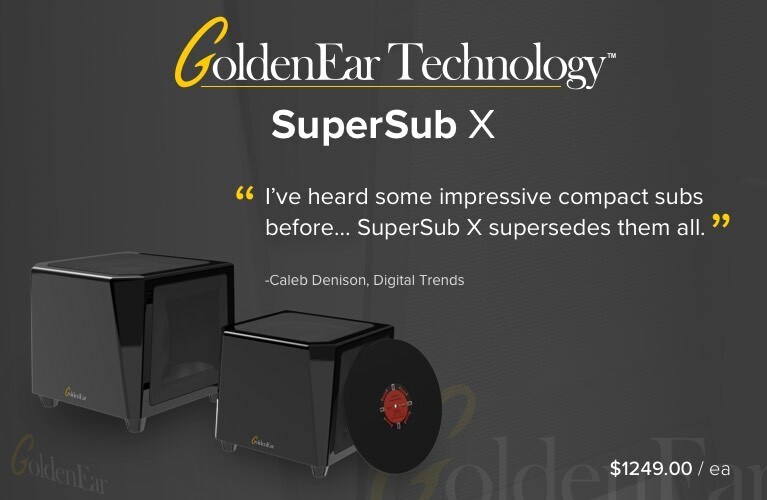 If you can add a powered subwoofer to the mix, you’re in for a real treat. 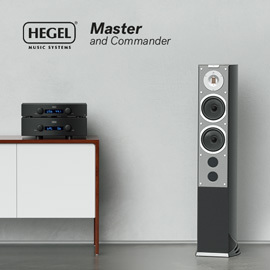 As for its primary intended function -- as a surround speaker -- the Zona will no doubt prove very satisfying in many systems, and not just entry-level ones. 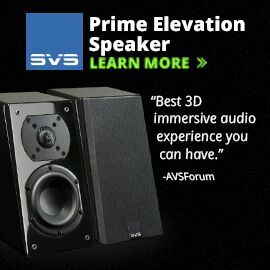 I’d gladly include them in a setup with $1500-$2000 main speakers and be perfectly confident that they could keep up with the surround information in most movie soundtracks. 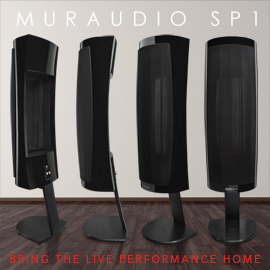 We all know by now that we want all the speakers in a surround system to be as tonally well matched as possible. Well, the Zonas’ bass and treble adjustments will let you achieve just that. You can tailor the sound to get them to be a good match with the speakers up front -- something not easy to do with conventional passive speakers from disparate brands. The Zona’s real benefit is its ability to put sound in places where there are few options. It’s an answer to the dilemma that many consumers face when trying to get a decent home theater into an existing space without cluttering it with speaker cables. The fact that a real speaker company has made a real speaker -- solid box, good drivers, crafty engineering -- that can fill that need is promising. Don’t tear into your Sheetrock. And if you’re expanding into a 7.1-channel system, don’t worry about stressing your receiver by making it drive even more speakers. Just do the easy thing: Get some Zonas, plug ’em in, dial ’em in with the remote, then sit back and enjoy the experience. 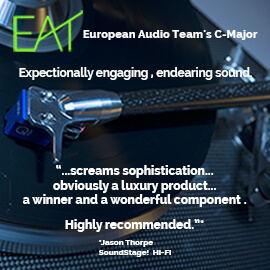 The Zona might not take over the audio world -- such little guys can do only so much heavy lifting -- but they fill a void in the real world consumers live in, and do so while offering more performance, build quality, and features than you might expect for the price. To me, that makes them a solid recommendation. Thumbs up to wireless! Price: $499 USD per pair.